Genetically engineered corn is already on the market. Will vaccine-corn face less resistance from environmentalists? USDA. The idea of feeding the world to health has sentiment on its side. But the question remains: Is it a good idea? Genetically modified crops, as a class, are increasingly controversial, especially in Europe. The lowest vaccine coverage, unfortunately, is in sub-Saharan Africa, which depends on agricultural exports to Europe. Fears of crop contamination with GM maize, for example, led some governments to reject foreign food aid offers or demand the food be milled (so local farmers could not use it as seed). But Fred Buttel, co-director of the program on agricultural technology studies at the University of Wisconsin-Madison, doesn't think resistance to genetically modified foods will undermine edible vaccines. The difference, he says, is the stronger incentive to accept new medicines than, say, corn with more kernels on the cob. "From a social point of view, if you have a biotech product that, at best, is just slightly better than the alternative and might just have the tiniest particle of risk, you'd be a fool to consume it," he says. "But if the product has some benefit for you, and that benefit in a particular context is major, then there is an awful lot to be gained." A bigger potential problem, says Buttel, is the risk of genetic contamination posed by any GM crops. Earlier this month, the U.S. Department of Agriculture found genetically modified corn, produced by Texas-based ProdiGene, in soybean plots in Iowa and Nebraska. 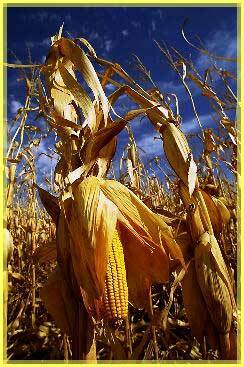 The corn was never approved for human consumption, and it never entered the food supply. But ProdiGene is under investigation for allegedly violating its permits to grow the gene-altered crops. GM watchdogs have long warned about the laxity of U.S. government rules for growing "pharmed" crops. To prevent the spread of introduced genes in wild populations, the U.S. Department of Agriculture requires GM crops to be surrounded by protective "buffer crops." But that would not avert another possible hazard: the leaching of pharmaceutical molecules -- such as antibodies or antigen proteins -- into soil or groundwater. Can genetically engineered crops be grown safely? Buttel, referring to the ProdiGene debacle, says "The bottom line is that there is just a tremendous need for tremendous care, and that need is not always satisfied." Growing the plants in contained greenhouses answers some of these concerns. But it's a lot cheaper in the field, notes Dwayne Kirk. "The basic economic feasibility is 100 to 1000-fold better if you do this in the field rather than the greenhouse." But, he adds the need to measure the risks carefully. Much work remains, he says, to determine if field-growing methods can be safe. Environmental risks aren't the only concerns on the horizon. The growth in technology that increased crop yields in the postwar period was largely funded by the public sector, but most agricultural biotechnology today is supported and controlled by private companies. For this reason, Charles Arntzen says, money is scarce. The biggest financial obstacle, he says, is seeing the final product through the rigorous, and expensive, demands of the approval system for new drugs. There's little, if any, incentive for a large, profit-driven corporation to fund the development of vaccines for poor countries, and academic competition for grants is fierce. "We're putting together a consortium with philanthropic organizations, the World Health Organization and emerging pharmaceutical companies in developing countries like India, Korea, Indonesia, and Brazil," says Arntzen. In doing so, he hopes, the countries that most need edible vaccines can gain licensure in their own, less costly markets, creating jobs and economic incentives in the process. "This isn't just a dream anymore," says Arntzen. Hungry for more? Try a painless injection of bibliography.